And the Summer became the Fall, and with the season of changing leaves comes some major changes in the Arts Community here in Odessa. We want to start by welcoming two new board members to OCA&H: Matt Rist and Toby Eoff. Matt is the News Director at CBS7, and Toby has been an instrumental part of the Downtown Odessa revitalization. We’re very excited by the addition of these outstanding community members. OCA&H also announced $240,000 in grant awards to over a dozen agencies for calendar year 2017 at it’s annual meeting on September 28th. 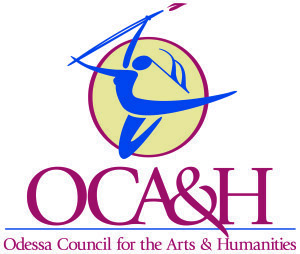 This money will assist these agencies in continuing to create Art opportunities for all of Odessa. During the annual meeting, Councilwoman Barbara Graff also read a proclamation, naming Sonya Haynie as the Official City Artist of Odessa. Sonya will also be nominated as Texas State Artist by OCA&H, the City of Odessa, and Rep. Brooks Landgraf. The Bard is Back! As you may have seen in the Odessa American The Globe of the Great Southwest, Inc. has a new name. The organization will now be known as the Odessa Shakespeare Festival. As the name suggests, the organization will be hosting a festival honoring The Bard. This year’s festival will be held on March 1-5, 2017 at (of course) The Globe Theatre at Odessa College. The Texas Shakespeare Festival touring company will be bringing three productions to the theatre for school shows, as well as public performances. Catch OCA&H every month on Studio 7. Executive Director Randy Ham will be a monthly guest on Studio 7 with Tatum Hubbard to talk about Arts & Culture in Odessa. The first segment aired on September 26th, and covered Second Tuesday Salon, a free lunchtime concert at the Rose Building held on the second Tuesday of each month. As always, check out our Calendar of Events to see what is going on in the Arts Community in Odessa!